The Marie Jeanne, a tuna boat from the French harbor of Concarneau, was a part of the fish sailing fleet which sailed from 1900 till 1950. 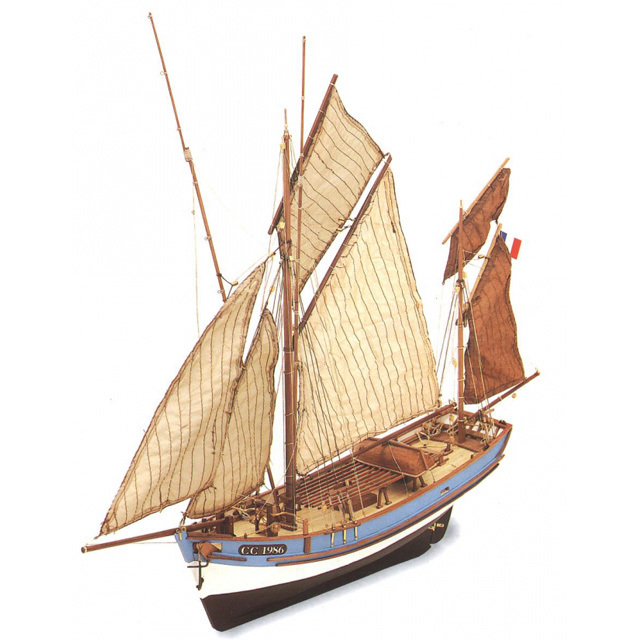 She fished for tun between June and October sailing as far as the coasts of Mauritania. The outings could take two months, as tuna is found in the high seas far from any coasts. The general trend towards engine propulsion contributed to the disappearance of these elegant fishing boats, which often sport colorful sails. id fringilla sed efficitur. massa mi, Praesent leo.